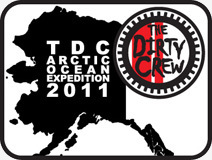 The Dirty Crew: Twice In One Month! Swamp Monster and MotoBum actually hit the Tahuya trails twice in one month! On December 31, 2018, they put the year to bed with a good trail shred. Rolling in as the #sunsets . @motobum101 and I #ripped around #tahuya today. 36 miles of trails. The @gasgasmotos #ec250 and #wr250f performed great!